Christophe has been a lawyer since 2008. 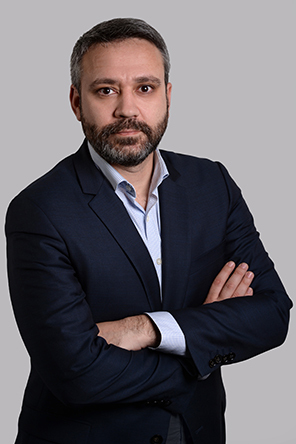 He holds a master’s degree in vocational studies in Labour Law Advisory Practices from Paris I Panthéon Sorbonne University and is accredited as a specialised in-house counsel. Christophe advises corporate clients, industry groups and public establishments on the day-to-day management of their individual and collective labour relations. He specialises in cases involving labour-management negociations and relations, occupational health and the prevention of recently identified occupational risks (occupational stress risks, arduous work, etc), equal opportunities and issues linked to new technologies. He has also developed expertise in transferts of undertakings, in particular between the public ant private sectors, working time-related renegotiations and reorganisations in the public sector, especially involving public health establishments. Christophe Frouin is a labour law trainer for industry groups. He has written articles on a variety of subjects.